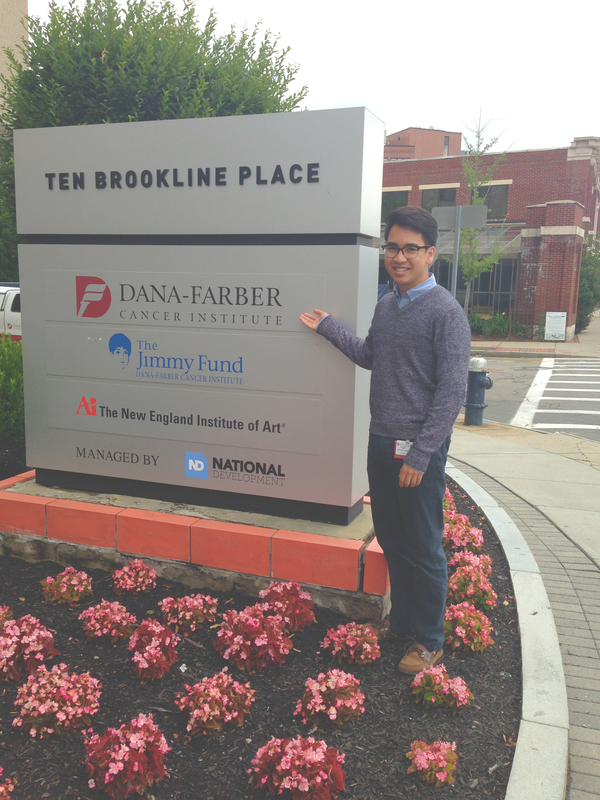 I am currently interning at the Dana-Farber Cancer Institute in Boston, Massachusetts where my work is focused on supporting Dana-Farber's Mammography Van (DFMV). The Van aims to reduce breast cancer morbidity and mortality among vulnerable populations such as low-income, elderly, immigrant and non-English speaking women with the goal of better addressing health inequities experienced by medically underserved Boston populations that reside on the outskirts of the city. My work with DFMV began in the Summer of 2015 while I was working at the South End Community Health Center, a federal health center whose primary patient demographic are Spanish-speaking and/or immigrants. I encountered several patients, who despite regularly visiting the health center had not had a mammogram performed in over 10 years. Although guidelines vary by organization, most physicians recommend that women over 40 be screened at least every other year, if not annually. I brought the issue to my supervisor at the time and was soon tasked with improving the health center's mammography screening protocols. Through telephone interviews with patients, it was determined that a culmination of language barriers, time constraints, lack of transportation, and inconsistent physician recommendation were the primary factors preventing these women accessing a basic screening measure that could detect malignant growths at an earlier stage and lead to improved health outcomes. Over the next year I began drafting grant proposals to implement the "ACE Project", an intervention that aims to partner with community organizations to increase access to mammography screenings, foster a sense of community among immigrant women, and empower vulnerable populations through patient education. In collaboration with partners such as Dana-Farber's Mammography Van, the Sharewood Project, the YMCA of Malden, and other community based organizations I began developing academic detailing tools for physicians, establishing a patient population at these community sites, and organizing van dates for the early Fall. In order to better understand how to run organize a van day, I began shadowing DFMV technicians and breast health educators as they visited partner sites (normally community health centers across the city). I became increasingly frustrated with insurance issues that prevetned patients from achieving adequate care, despite making their way to the clinic on-time for an appointment. Often times eligibility technicalities or low health literacy prevent a patient from being seen on the van, although they may have spent several hours taking time off from work and traveling to the van without receiving any treatment. There is added frustration as over 40% of scheduled patients never arrive for their appointments which prompted my interest. I am particularly invested in understanding US health policy regarding the cost-effectiveness of employee paid time off for preventative medical services versus the benefits of post-diagnosis treatment. Is it better for the patient and employer to give workers time off to get preventative screenings? As of now, there is no federal or state law that allows employees to leave work for preventative screenings and to be compensated for this time. At the University of California, Los Angeles, all employees earn four hours of paid time off for donating blood (which can be done up to four times per year). The small incentive is seemingly significant enough to positively influence employee behavior to bolster blood donations—might these same neuroeconomic mechanisms be successful when applied to preventative screenings such as mammograms, pap smears, or prostate exams? In the context of Dana-Farber’s Mammography Van, I am working to draft grant proposals for a pilot incentive program so that patients taking time off from work for preventative screenings are not losing income which might cause undue financial stress.